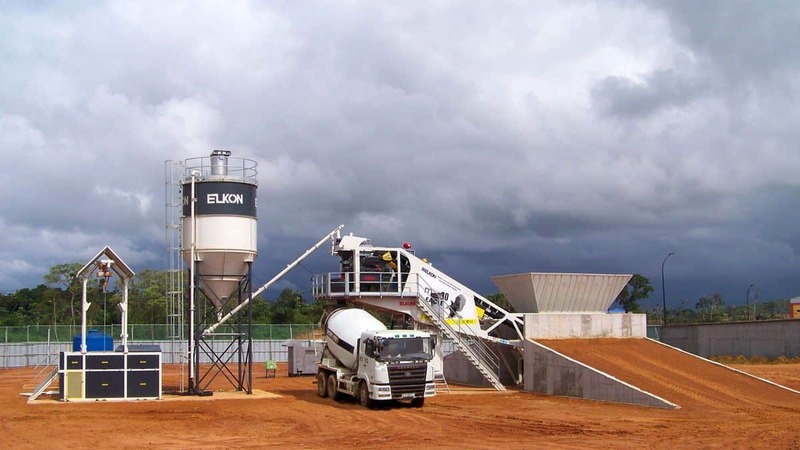 ELKON Mobile Concrete Batching Plants are designed to be transported by a single truck and trailer, all units are located on a single monoblock chassis. Capacities range of 30 to 150 m³/h. 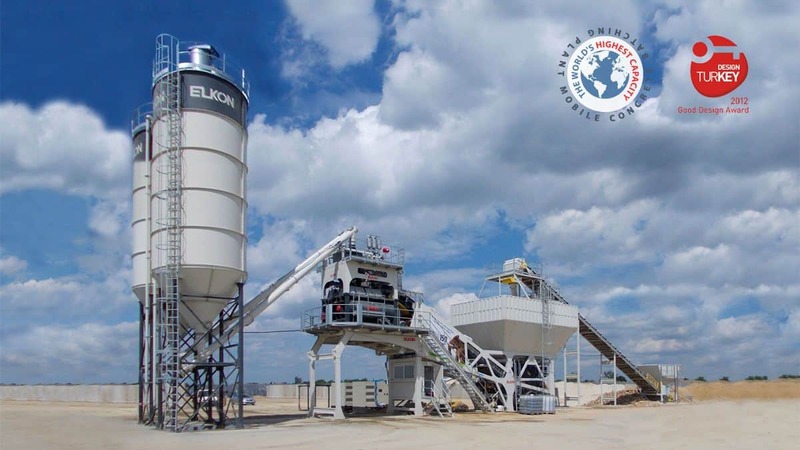 With its 6750/4500 l twin-shaft mixer, 150 m³/h production capacity, the ELKON Mobile Master-150 Elephant mobile concrete batching plant is the world’s largest capacity mobile concrete plant. 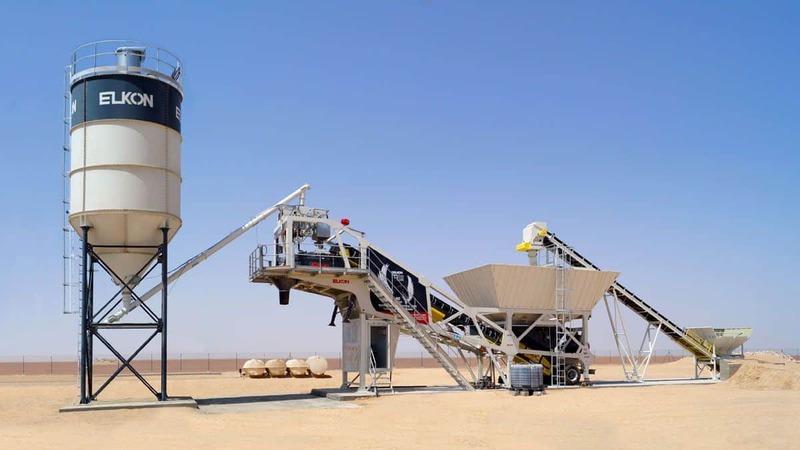 The Mobile Master-30 EAGLE Mobile Concrete Batching Plant is equipped with an 750/500 l pan or single shaft mixer and has a 30 m³/h vibrated concrete production capacity. The ELKON Mobile Master-60 Mobile Concrete Batching Plant comes with a 1500/1000 l pan, planetary or twin shaft mixer options. It has a 50 m³/h production capacity. 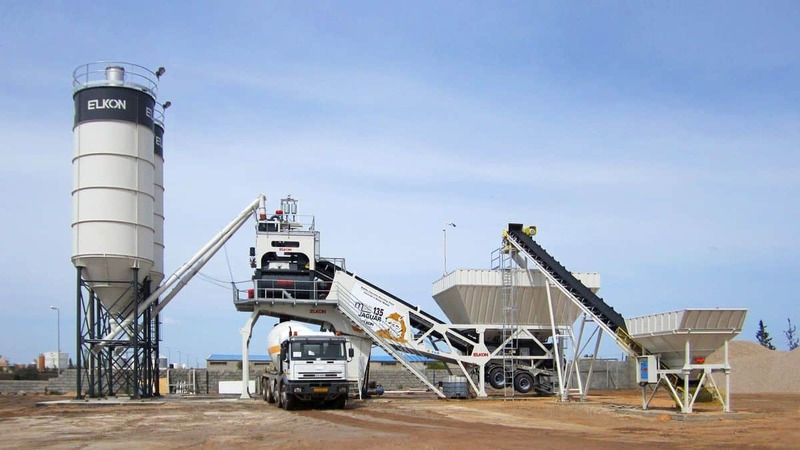 The Mobile Master-100 LION Concrete Batching Plant is equipped with a 3000/2000 l or 3750/2500 l twinshaft mixer. It’s production capacity is 90-100 m³/h of vibrated concrete. 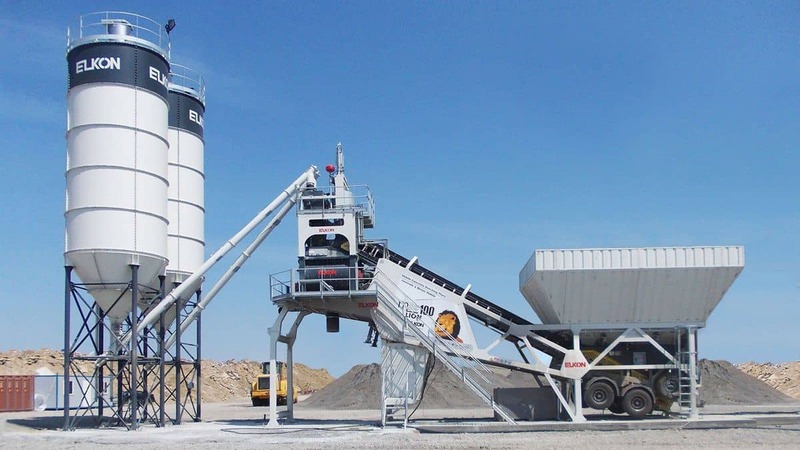 The Mobile Master-135 JAGUAR Mobile Concrete Batching Plant is equipped with a 4500/3000 l twin-shaft mixer and has a production capacity of 110 m³/h vibrated concrete. The world’s largest mobile concrete plant, the Mobile Master-150 ELEPHANT is equipped with a 6750/4500 l twin-shaft mixer and has a capacity of 150 m³/h of vibrated concrete.